Ideal for video assist and on-set monitoring solutions, as well as live wireless image-mag applications etc. Our customers often use this system in combination with a 7" HD Monitor for a wireless handheld director's monitor - Ideal for documentary and reality TV applications. The advantage of the Bolt Pro over the Bolt, is it's ability to send the same signal to multiple receivers. This can be helpful when distributing pictures to multiple monitors on-set. 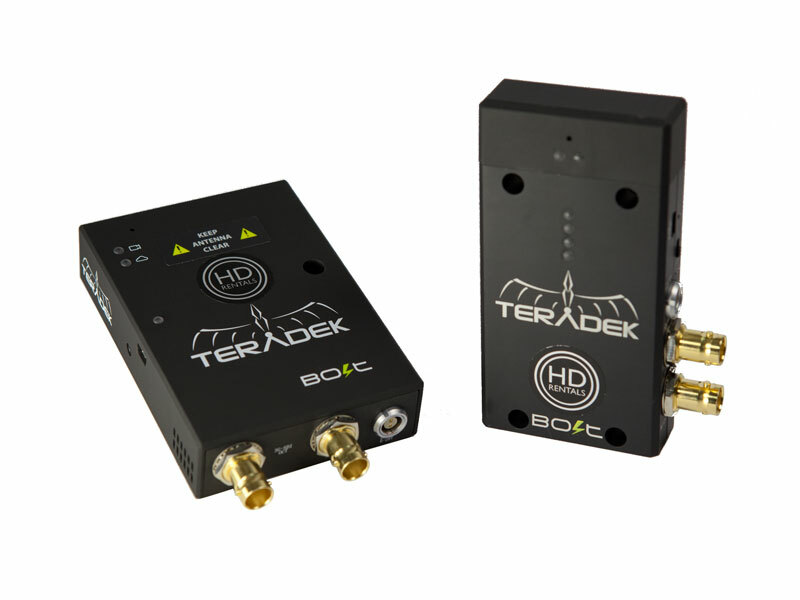 The Teradek Bolt Pro is a latency-free HD-SDI video transmission system that sends 4:2:2 1080p video up to 300' (~100 metres) Ideal for video assist and on-set monitoring solutions, as well as live wireless image-mag applications etc. Our customers often use this system in combination with a 7" HD Monitor for a wireless handheld director's monitor - Ideal for documentary and reality TV applications. The advantage of the Bolt Pro over the Bolt, is it's ability to send the same signal to multiple receivers. This can be helpful when distributing pictures to multiple monitors on-set.